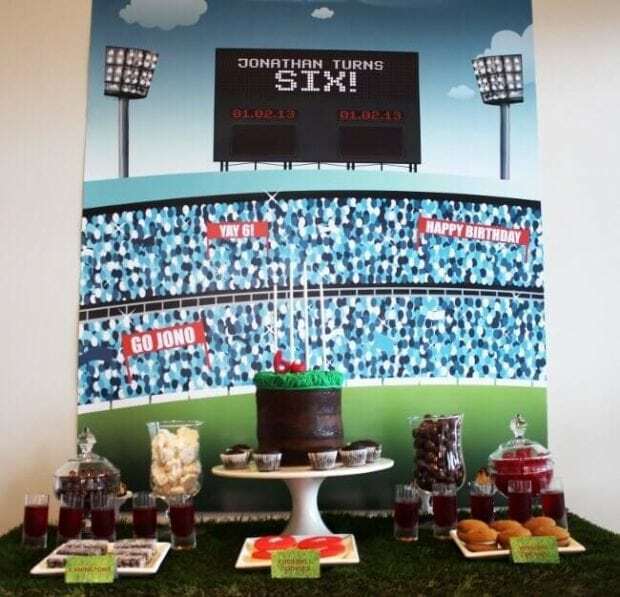 This birthday boy football super fan was given a special treat for his sixth birthday party! Jonathan goes to almost every Collingwood game, part of the AFL (Austrialn Football League), with his dad. 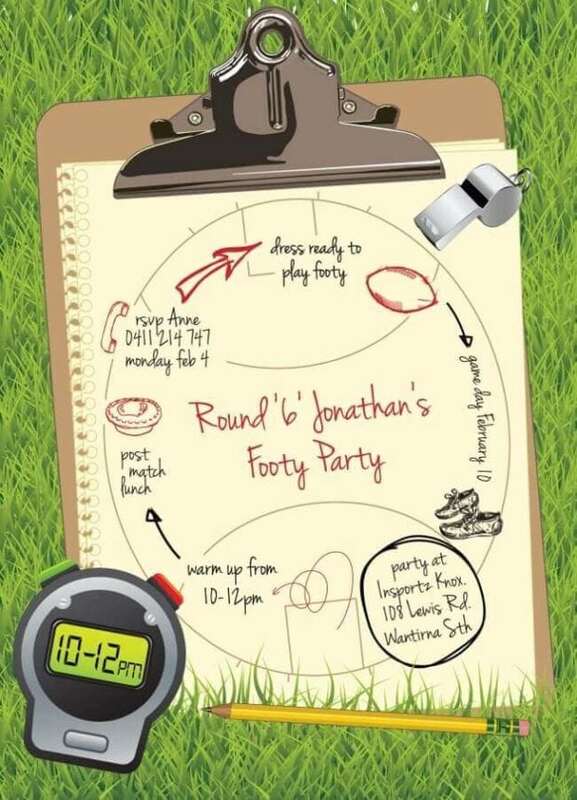 So it was no question what his birthday party theme would be: Aussie Rules Foodball! In order to make the theme neutral instead of making it team specific, Anne of UR Invited chose non-team specific colors. She focused on green, blue, and brown with pops of red. Get some great ideas for your next football party with these Football Party Food Ideas. 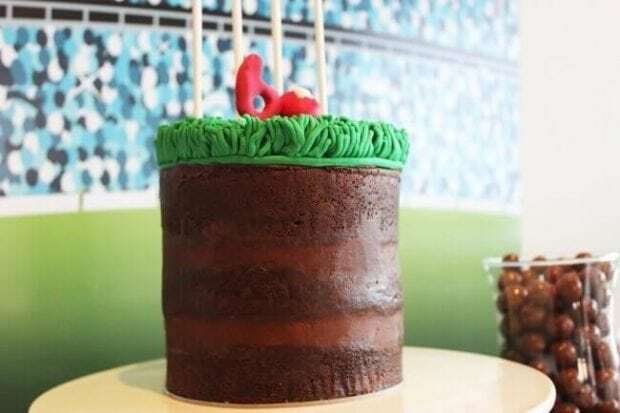 Bake up this Easy Football Cake for a last minute surprise they will love. All the guests enjoyed that every team won! She provided printables including the invitations, back drop and favor bags. I love the custom back drop! It looks like thousands of screaming fans are cheering on the birthday boy. I think the score board sign and lights are perfect touches as well. The food table has green grass instead of a table cloth. Such a clever touch! That simple lay out really brings the theme home. All the food is laid out in simple dishes including clear glasses and white trays. Guests enjoyed a variety of food including traditional Australian treats like Lamingtons, which are a meat pie. There were also cookies, candy, and whoopie pies. The cake is darling! It was created by Orange Blossom Cakes and Events. The cake is chocolate, which looks like dirt. The icing is green and shaped like grass. 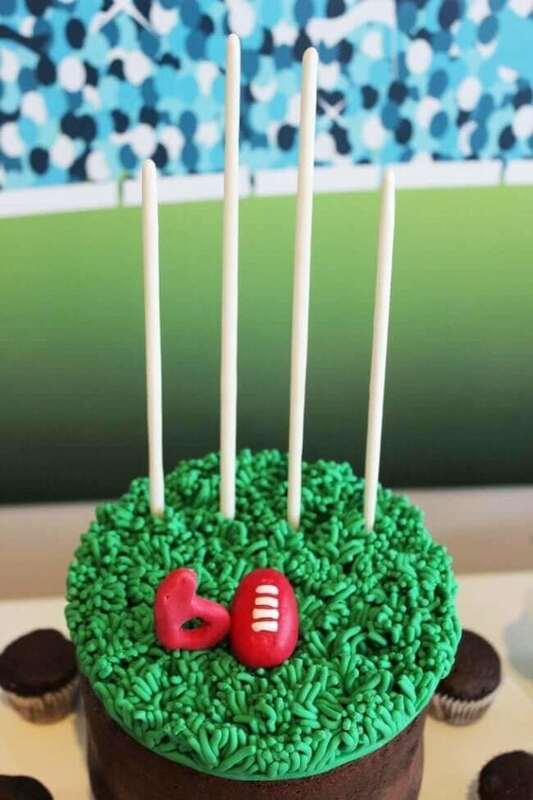 The toppers include the birthday boy’s number six, a football, and goal posts. The cake is surrounded by chocolate cupcakes as well for the guests to enjoy. 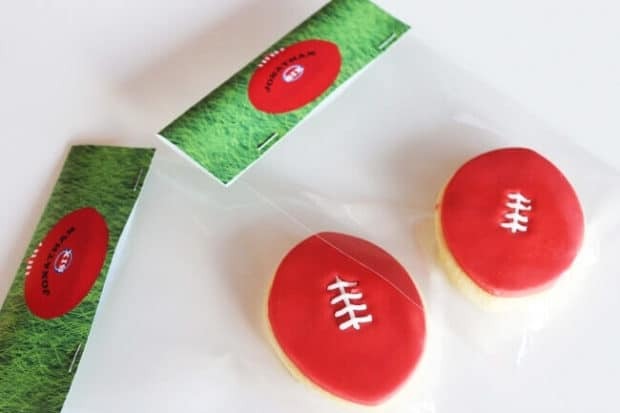 Thank you gifts to the guests included football shaped cookies in custom packaging. 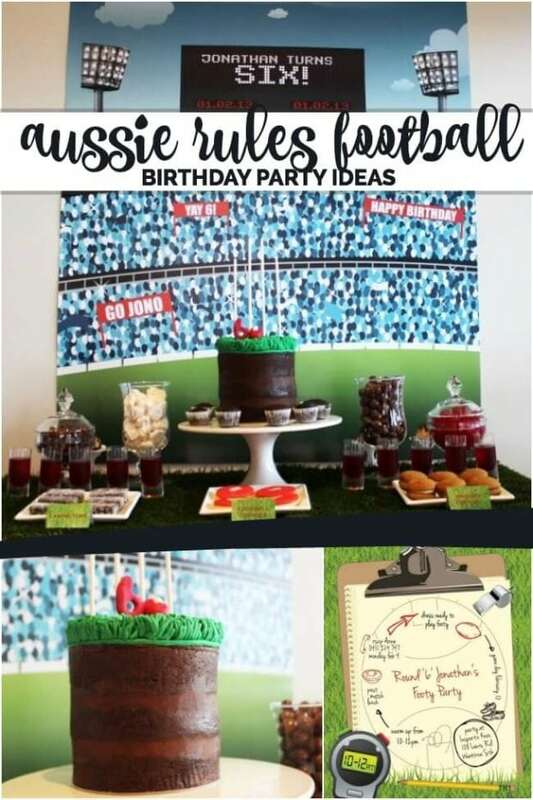 Plan the ultimate football birthday bash with these great football party ideas gathered by the team at Spaceships and Laser Beams. 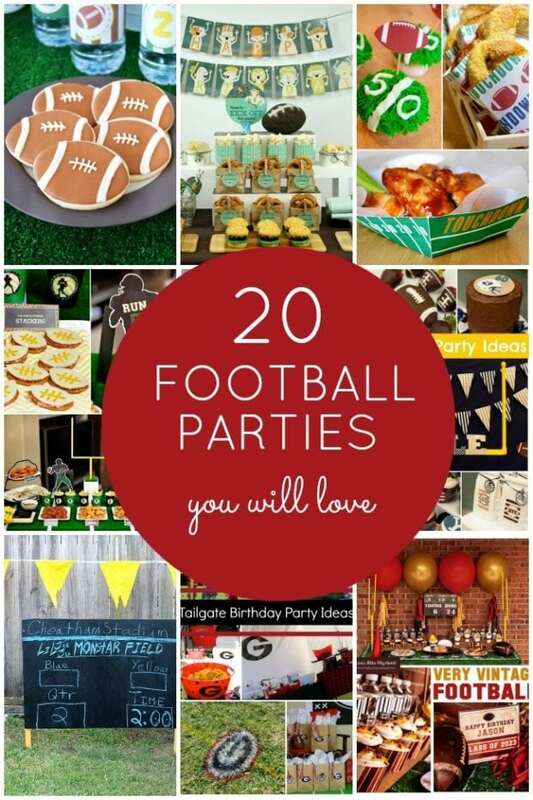 Check out more great football birthday party ideas.